Minneapolis public schools typically have spring break during the months of March or April. Schools and colleges in Minneapolis, St. Paul and around Minnesota also have a week off in mid to late March or early April. If you will be visiting the Minneapolis area or live there and are looking for something new to do, here are some ideas for things to do with children during Spring Break. Or how about getting out of town? 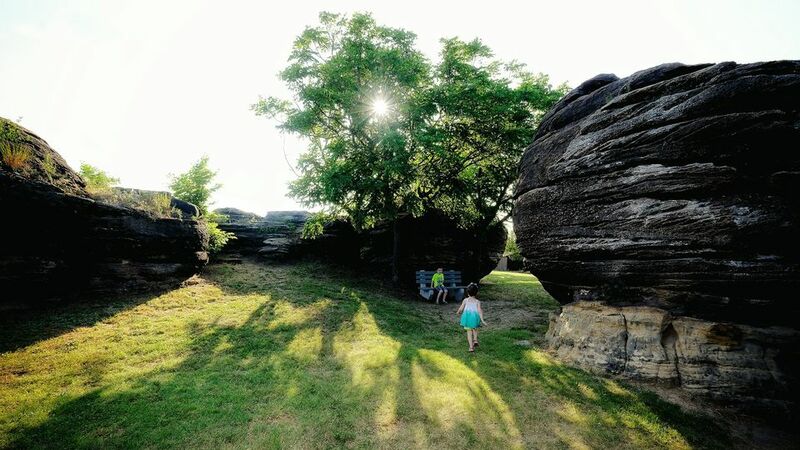 If you and your family want to hit the road, here are some places to visit that aren't far from the Minneapolis area. What you'll want to do in Minneapolis depends on the weather. An early spring break can mean winter sports and indoor activities. A later spring break can be so mild you may want to go bike riding or even visit a water park. The Minnesota Zoo has plenty of fascinating exhibits, inside and out, for a fun time no matter what the weather is. The Children's Museum of Minnesota typically has extended hours during Spring Break weeks —open Mondays and all week until at least 6 p.m. nightly. The Works interactive children's museum in Bloomington is usually open Monday, Thursday, Friday, and all weekend during Spring Break. The daytime St. Patrick's Day Parade in St. Paul, and the early evening parade in Minneapolis are both a great family-friendly activity depending on when the break falls in relation to St. Pat's Day. Get the bikes out and go for a ride. Minneapolis boasts 20 miles of bike trails. Need tires or a tune-up? There are quite a few bike shops in Minneapolis and St. Paul. Hang out at the park, depending on the weather you could be sledding or playing at the playground. (Here are suggestions for sledding hills in Minneapolis and St. Paul). If you're a local, try your neighborhood park, or visit one of Minneapolis' larger parks. Minnehaha Park is always pretty (but watch out for all that spring mud). If the weather is warm, older kids can visit one of Minneapolis' parks skate parks or one of the other indoor or outdoor skate parks around the cities. Water parks are also great to visit if the weather is mild—many local water parks have extra Spring Break hours. It's easier than driving to the Wisconsin Dells. The Minnesota Arboretum is open daily, adult admission is $15, and it's excellent value for children—kids 15 and under are free. Everyone is free on Thursdays in March, and at the weekend, the Arboretum has free family activities. Take advantage of the (hopefully) beautiful spring weather and visit one of the Twin Cities ice cream parlors. Take in some history at the Minnesota History Center in St. Paul. The Mill City Museum in Minneapolis is also a great pick, rain or shine. If your kids think that history is boring, both the Minnesota History Museum and the Mill City Museum sites mix up interesting history for the adults, with lots of interactive, and hands-on activities for kids. Como Zoo is always free, and there are daily story times, opportunity to meet the zookeepers, and learn more about the different animals in the Zoo's enrichment programs. Depending on the weather, skiing and snowboarding could either be is pretty much done, or still going strong! If your kids want one last chance to play in the snow, Wild Mountain and Afton Alps are usually the last two local holdouts, staying open for one more week, with skiing, snowboarding, and snow tubing. Kids have to be 42" tall and over 4 years old to go snow tubing. Movie theaters across the Twin Cities are catering to kids with child-friendly movies during the day. Of note is the Riverview Theater in Minneapolis—they often run children's matinees during Spring Break and their discount prices (the movies are shown a few months after their original release) will make parents happy. Here is some low-cost inspiration—ways to get free admission to museums and attractions, free movies, free story times, free kids music and crafts activities. Take a look at these free things to do with kids in Minneapolis and St. Paul. And there are also cheap children's activities, including ones where the parents can get coffee while the kids play, and the best place for cheap art project supplies.